The London 2012 Olympic Games has labelled itself as the ‘Green Olympics’, and although it has failed to be so in several aspects, it has succeeded in terms of transportation with its fleet of hydrogen and electric powered vehicles. With any Olympic Games, logistics and transportation is essential, whether it is transporting the athletes to their venues, or simply moving equipment around the Olympic Park. For the London Games, Olympic partner BMW and European company HY-TEC have deployed thousands of electric vehicles — many of them fueled by clean energy! Among BMW’s fleet are numerous BMW 3- and 5-Series EfficientDynamics, as well as 120 5-Series ActiveHybrids. There are also another 200 electric, cars represented by 40 Mini Es and 160 BMW ActiveEs, the electric 1-Series coupe. Not only are these manufacturers using the Games to show up their e-range, but BMW has recently announced that London will play host to its first electric dealership. The city of London has also been pulling out all the stops to make sure they do everything they can to reduce emissions. 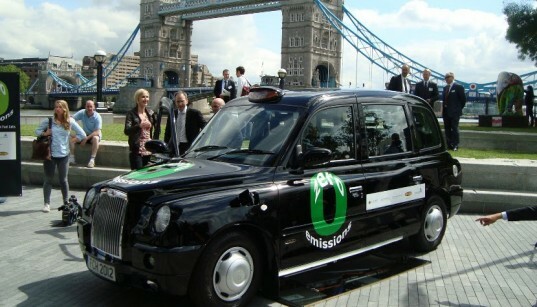 As such, they have unveiled a fleet of hydrogen powered British black cabs provided by HY-TEC that have had their diesel engines replaced with a state-of-art electric motor fed by a hydrogen fuel cell. Before the Games began, promoters stated that the hydrogen cabs could endure two days of duty between each refill. However, there has already been an embarrassing PR issue. Earlier this week, the hydrogen fueling station at Lea Interchange near the Olympic Park was forced to close for security reasons, forcing taxis to go on a 130-mile round-trip to Swindon to refuel! Still, what is clear is that when the Games end, the electric infrastructure that has been put in place will remain, meaning that the people of London will be able to buy e-vehicles with the knowledge that charging stations are readily available. The London 2012 Olympic Games has labelled itself as the 'Green Olympics', and although it has failed to be so in several aspects, it has succeeded in terms of transportation with its fleet of hydrogen and electric powered vehicles. With any Olympic Games, logistics and transportation is essential, whether it is transporting the athletes to their venues, or simply moving equipment around the Olympic Park. 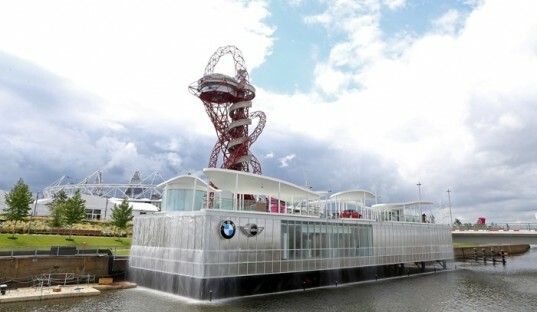 For the London Games, Olympic partner BMW and European company HY-TEC have deployed thousands of electric vehicles -- many of them fueled by clean energy!